Vision Living offers expert advice, custom home theatre installations, smart home systems and home automation services, in addition to high end components. In order to get the most out of your Vision Living experience, we recommend booking an appointment or in-home consultation in advance where one of our consultants can discuss your requirements in depth. Vision Living is committed to bringing clients the most innovative and capable products on the market today. Solid design, worry-free integration and super product performance. While our products and services largely entail speakers, cables, amplifiers, control panels and lighting systems, we're primarily in the industry of enriching lives and improving lifestyles. 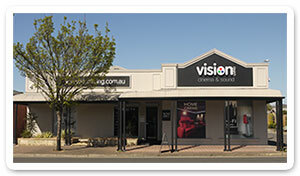 This philosophy, along with expert staff, scrupulous high standards and years of experience is what makes Vision one of the most respected and most highly regarded installation companies in South Australia.